Bamboo is not only for floors, walls, furniture or bathroom accessories. In the last years, this highly renewable, sustainable material has made successful advances into areas less often associated with it. For instance, light fixtures use bamboo to create an exotic look, a clean, relaxing ambiance, and to keep a space airy and uncrowded. Most of all, their charm lies in the warmth that bamboo brings into a room, the human affinity to all things natural, and the beautiful craftsmanship of these pieces. 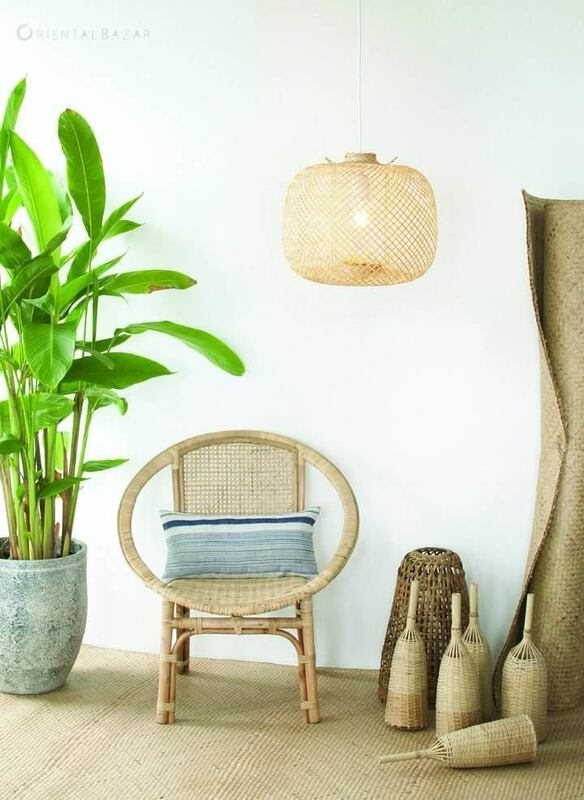 Here is, for example, a bamboo pendant light from OrientalBazar on Etsy, that combines a woven design with a softly curved shape evoking the look of delicate Chinese lamps. The thin, light-colored bamboo strips allow the light to spread in all directions, but seem to soften and enhance it at the same time. For those with global tastes and a liking for objects that come with a story, this light fixture gains in interest by the fact that is made from repurposed fish traps and handcrafted by villagers in central Thailand. However, the most remarkable quality is its flexibility. The lamp can easily be compressed or stretched using the strings attached inside the shade, allowing you to change its shape and height according to your space, your taste or your mood. 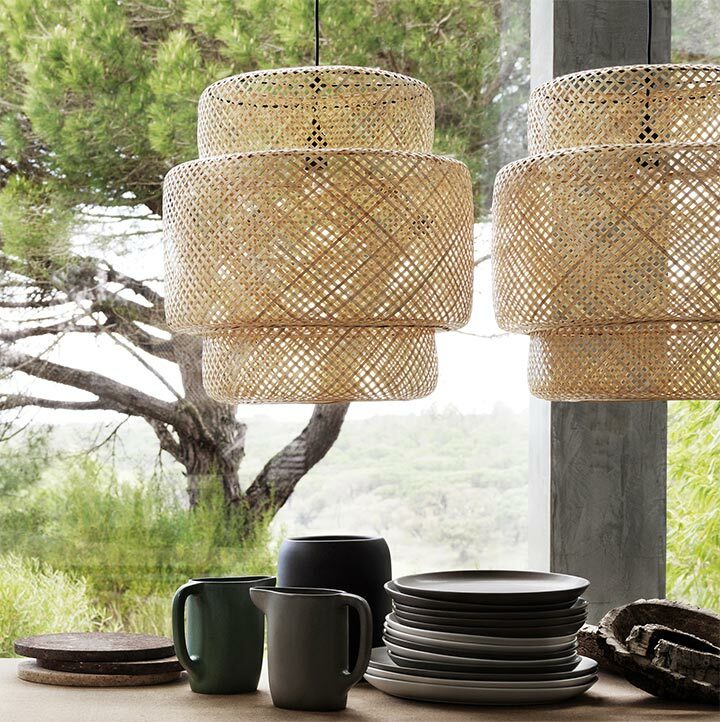 Keeping the delicate woven texture, but choosing a slightly more involved design, the Sinnerlig bamboo pendant light below is part of the Ilse Crawford collection for IKEA. The lattice shade has the natural look of all handmade accessories, and the small quirks that make each piece unique. 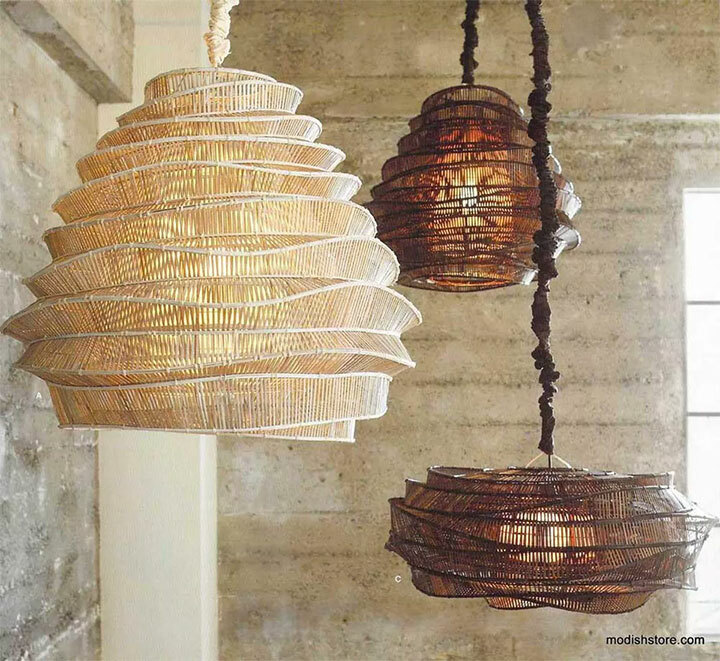 The bamboo color and texture give this lamps a glow that is ideal for creating an inviting ambiance. For a truly unique piece that stands out through both complexity of design and natural beauty, here is the Roost Bamboo Cloud Chandelier. 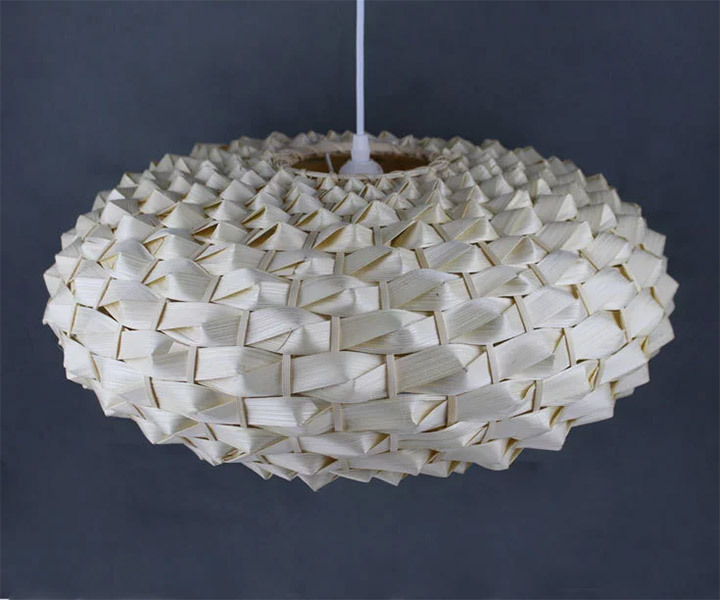 This pendant light is the work of a young Thai artist that draws from old weaving techniques to create this contemporary fixture. Denser and more involved than the pieces above, the Roost Bamboo Cloud Chandelier demands attention while retaining a light, delicate and unobtrusive look. The chandelier comes in tall and low sizes that allow you to adapt its shape to your space, and is available in dark and light shades. 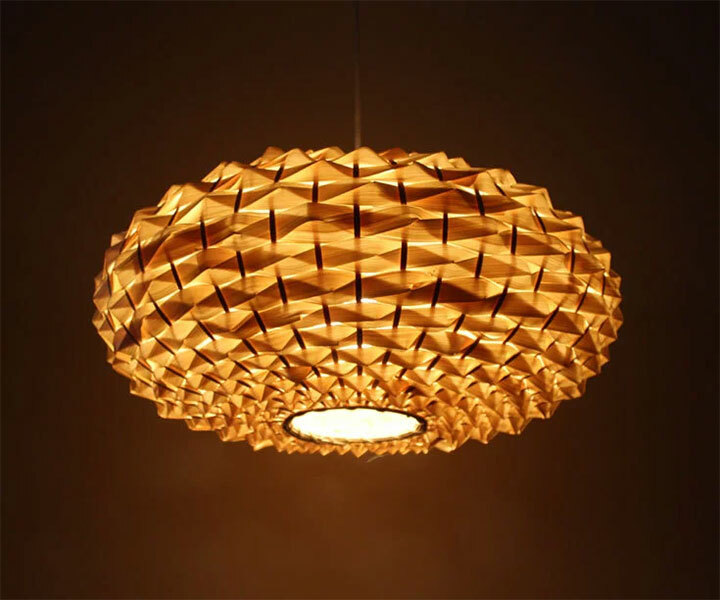 Here is a lamp whose dense woven surface and thicker bamboo strips change the texture of light. This time, the light trapped within this hand-woven, oval-shaped bamboo fixture creates a luminous orb that instantly changes the mood of your room. The beauty of this lamp comes from the exquisite way in which the light emphasizes the intricacies of the design, with its semi-transparencies, shades and high-low texture.